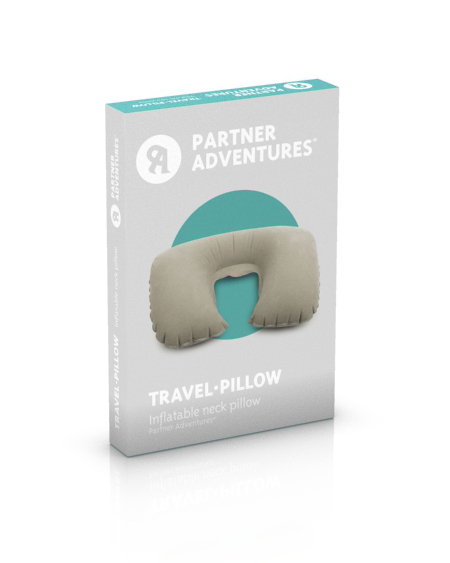 This light and convenient travel pillow can be used anytime and anywhere, although its special features make of it an essential element for any trip, as it’s very useful and comfortable for the neck and it adapts to any kind of transport (train, car, plane, etc.). In addition, this inflatable pillow is very easy to use, carry and store, since it takes up little space. It’s easy to use. Simply blow a little and it will soon be inflated. 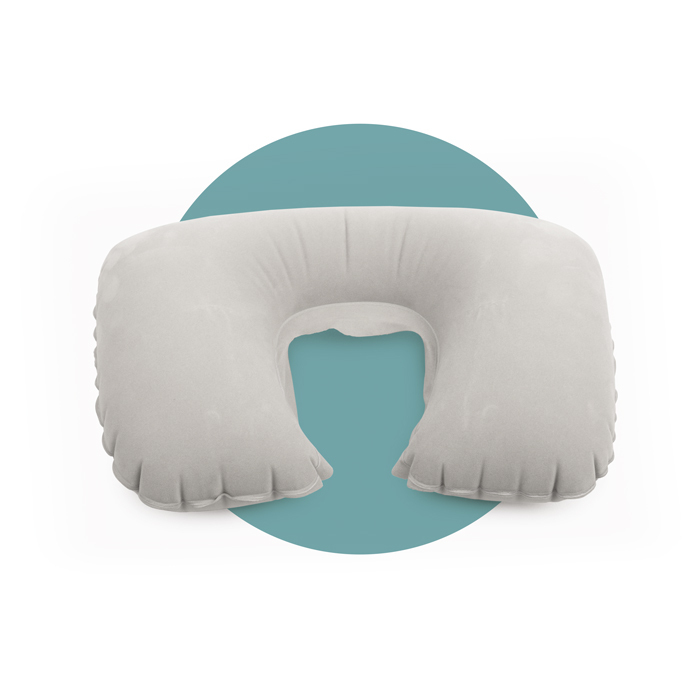 This neck pillow is made of a soft and pleasant fabric, and it has been specifically designed to fit the form of your neck, helping to prevent or reduce the typical discomfort in that area (pain, stiffness, stress…). The inflatable travel neck pillow helps to correct the posture and favours your blood circulation bringing relax and well-being.